Have you ever come across the term ‘Kalighat Doll’? What are these things? Kalighat dolls are small brightly coloured wooden dolls. They are generally five to six inches in length but it’s not unusual to find bigger ones. Artisans generally carve the dolls out of a single piece of wood using a chisel. These artisans usually hail from the carpenters’ community and are also known as the ‘Sutradhars’. The word ‘Sutradhar’ usually means a narrator or a teller of tales. 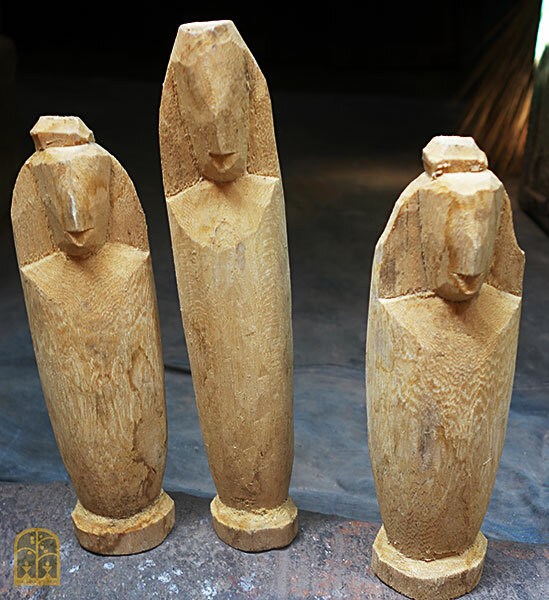 The dolls are first chiselled from a piece of seasoned wood cut to the required length. They are then sandpapered, coated with khori mati (china clay) and painted in bright hues (traditionally reds and yellows). Facial features and details of their garments are then painted in fine black and red strokes. The finishing touch was traditionally a coat of tamarind seed paste, which would protect the paint from fading easily and also add a shine to the doll. Nowadays, tamarind seed paste has been substituted with varnish, and natural paints with synthetic ones, that are easily available in the market. 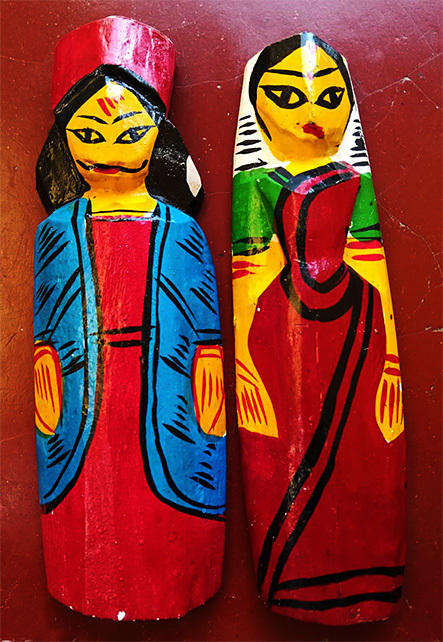 In Kolkata, these wooden dolls have for over several hundred years been generally available around Kalighat and have therefore been known as ‘Kalighat Dolls’. Similarly wooden dolls which were available at Nabadwip were called ‘Nabadwip dolls’. Kalighat dolls first made their appearance when the fame of the Kalighat temple and the settlement around it began to grow around two hundred years ago. Booths sprang up to cater to the various needs of the pilgrims and wooden dolls and terracotta figurines appeared early in the brisk trade as souvenirs, in fact, well before Kalighat paintings made their entry. To this day, such shops continue to sell wooden dolls (albeit in diminishing quantities), along with articles related to worship, household utensils, images and icons of different gods and goddesses. In actual fact, both Kalighat and Nabadwip dolls are made at a village called Natungram in the Bardhaman district of West Bengal by members of the Sutradhar community. Though, wooden toys have been in evidence for centuries, essentially being sold in rural fairs, Natungram as a hub for wooden toy making, came into existence only about 150 years ago that when a group of toy makers settled there. These artisans sold their wares to traders across the region and that is how the dolls made their way to Kalighat, Nabadwip and other regions. Once prevalent over many districts in West Bengal, including Howrah, West Medinipur, Bankura and Purulia, making of wooden toys and dolls, is now found only in a few places. Of these, Natungram is the most renowned, with more than 80 households involved in the craft. Artisans in Patuli, Dainhat, Kashthoshali in Bardhaman are also reasonably active. In Purulia, a few artisans bravely continue to ply their craft in villages like Senera and Chorida. Such dolls were also once produced in Srirampur and Chandannagore of Hooghly District.  It goes without saying that similar dolls were also made by the carpenters of Dhaka, Faridpur, Mymensingh, Chittagong, Coomilla, and so on (present day Bangladesh). Specimens of these dolls can be found at the Ashutosh Museum, Kolkata. These dolls, mainly made out of the wood of Gamar, Mango, Shimul, Ata and Chatim trees,or any kind of wood that is easily available, lack modern sophistication but preserve in themselves a rustic beauty. There are three to four distinct varieties of dolls. The raja and rani dolls (king and queen), which also qualify as the ‘mummy’ dolls as their shapes resemble an Egyptian sarcophagus; the bride dolls, the Radha-Krishna dolls and the dolls of Gaur-Nitai. The wave of the Bhakti movement in Bengal in the 15 and 16th century introduced the Gour-Nitai dolls, a pair of male figures with hands outstretched over their heads. They represent Sri Chaitanya Mahaprabhu (Gour) and his close disciple Nityananda. Lord Krishna in his many forms also became popular. 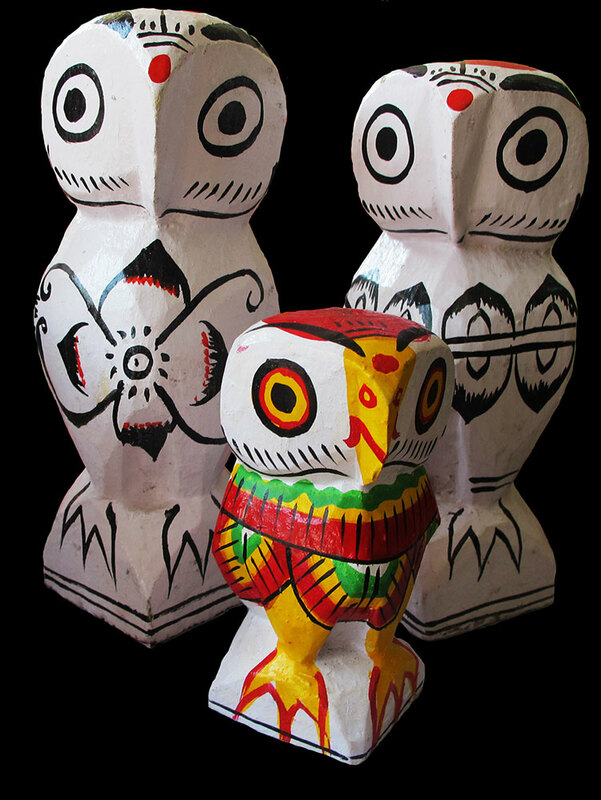 But the toy that Natungram became most famous for was the owl – the village’s flagship brand so to speak and one of the most iconic images of rural West Bengal. In its basic carved out form, the Rani doll, and the Raja doll are indistinguishable. The basic form remains the same but the way in which they are painted by the artisan renders them unique. The situation is similar in case of Gaur-Nitai or Bhadu-Tusu. The craft is basically seasonal in nature and many artisans supplement their income through cultivation. Artisans usually collect small branches or, at times, buy branches for making dolls. Once the branches are cut into small pieces using a small saw or ari, carving begins, using a batali or chisel and a bashila or adze. With these simple tools, the craftsmen cut and carve the wood while the women give it a fine finish and paint it. Each family member in Natungram on an average earns Rs.1500 to Rs. 2000 a month. Interestingly, artisans in Chorida who make wooden dolls in addition to the famed Chho masks believe that the antiquity of their wooden dolls goes back to the nineteenth century when the Maharaja of Kashipur, Purulia, Nilmoni Singh Deo started the worship of Bhadreshwari/Bhadravati, commonly known as Bhadu. The king had commissioned such wooden dolls to be made by the ‘Sutradhars’. There used to be a big demand for the owls in the 1960s and `70s; but now, with the shift from the ethnic to the modern in the taste for interior decoration, the demand has decreased considerably. Along with a change in lifestyle, the influx of metal and plastic, and machine-made goods, have doomed traditional woodcraft. It is only during the festive season the demand shoots up as a result of the various melas that take place during this time. 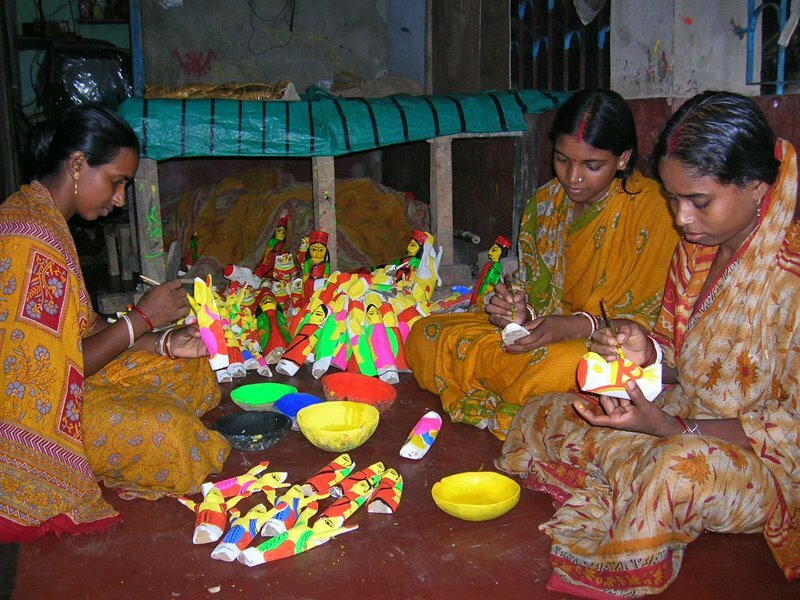 In fact, artisans generally start making dolls before the Poush-sankranti. They take their dolls to melas, or fairs where they aspire to sell at least two-hundred pieces in a day for Rs. 25 to Rs. 30 each. During the rest of the year however, there is a lull in the activity. With the demand on the decline in the urban areas that now prefer foreign bric-a-brac for the interiors, the year`s output is not fully sold out. Many of the workers are not fully employed and cannot afford to send their children to school, as there is none in the village. To make matters worse, in Natungram, getting the raw material, mango wood, is a troublesome task. The logs have to be sawed down from the nearby forest and brought to the village. There are only 2 saw mills that cut up the logs and they are around 5 km away from the village. The artisans have to wait for days before they can get the right piece of log to work on. The reality in villages other than Natungram is as grim. Many artisans have stopped making wooden dolls either due to old age or due to the lack of profit; and a lot of them have also shifted to other mediums such as clay and cement. Very few among the younger generations have learned the craft because of its poor demand. But the wooden doll makers of Natungram got a fresh lease of life. Government of West Bengal`s Department of Micro Small and Medium Enterprises & Textiles, in association with UNESCO, has developed Natungram as one of the Rural Craft Hubs of the state. WBKVIB has developed a Folk Art Centre in the village with lodging facility that is equipped with all basic amenities. Apart from making traditional dolls as standalone pieces, the craftsmen are now incorporating these dolls into furniture. Small stools, laptop tables and larger tables have owls or soldier dolls for stands. The dolls are also being incorporated into designer cupboards and boxes. The artists collective will celebrate the 4th edition of their annual festival `Wooden Doll Festival` on January 18 - 20, 2019.